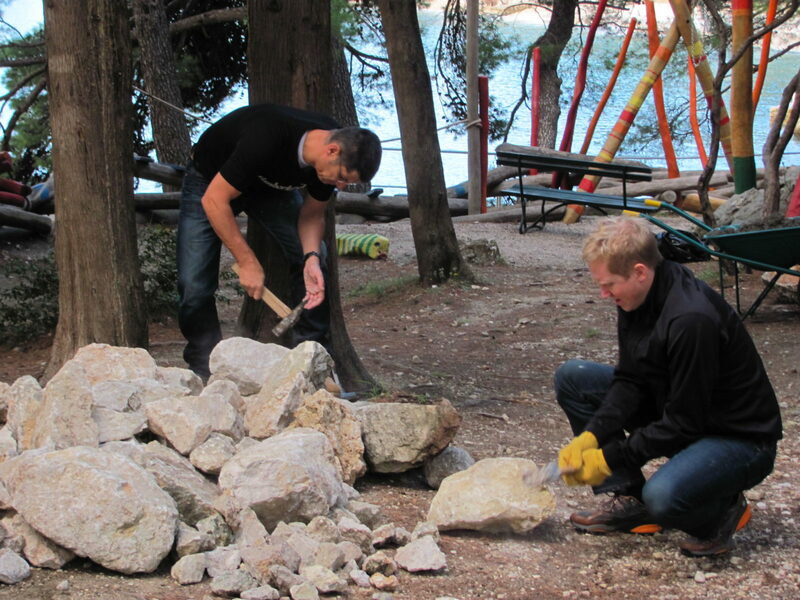 International staff from the Timberland clothing company visited the park in Zupa today to volunteer as part of the ‘Gumno project’. 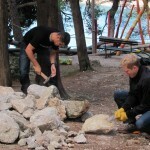 Timberland are currently hosting their brand meeting at the Dubrovnik Palace Hotel and as part of their community program volunteered their morning and manpower to help with the completion of a permanent summer stage in Zupa’s park between Mlini and Srebreno. 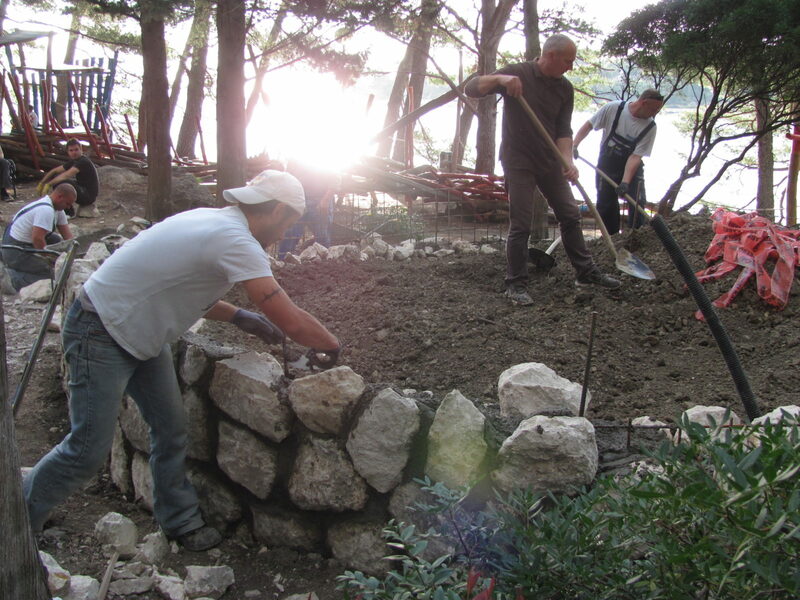 Over the last three weeks volunteers from several local organisations have done the groundwork for today’s project, digging and laying the foundations for the stage. Timberland and the local council have co-financed the project which when complete will provide a permanent home for Zupa’s rock festival ‘Puntizela’. 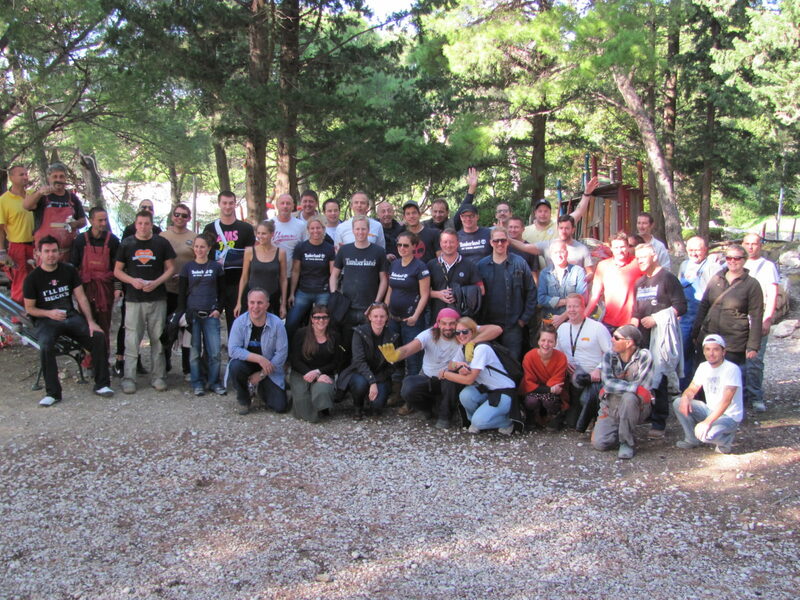 Around 30 Timberland staff from Germany, Norway and Sweden took part with home made food and cakes provided by generous locals. 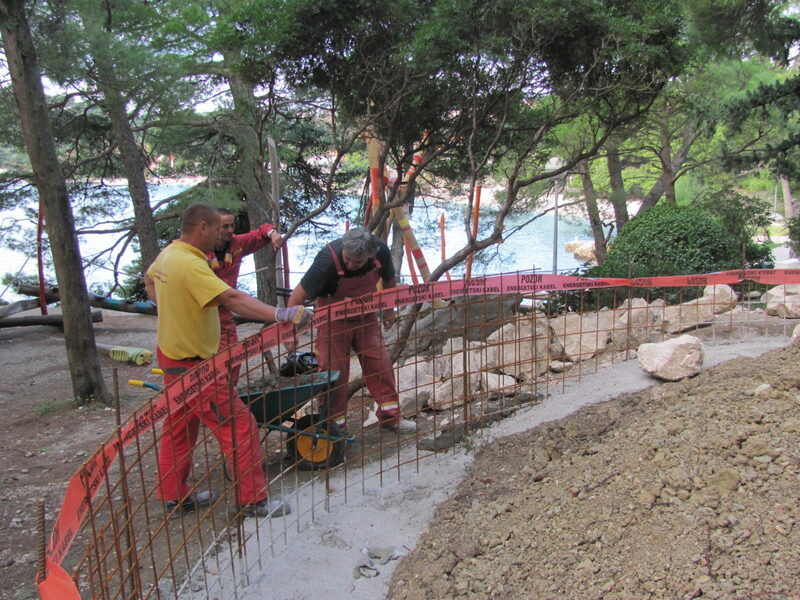 A huge amount of work was completed today thanks to Timberland staff who have been invited to visit Dubrovnik again when the stage is complete.